Daniel Kebort runs a business on Post Oak Boulevard. 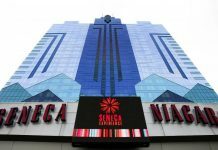 However, the company is difficult to spot behind all the traffic barricades and construction in and around the strip mall. Kebort’s business, Post Oak Poker Club, is behind a linen shop and Al’s Formal Wear. The poker room is private and for members only, and Kebort asserts that his business skirts around the gambling rules in Texas. Therefore, of course, he is going all in. There are up to 12 games running on any given night at Post Oak Poker Club. 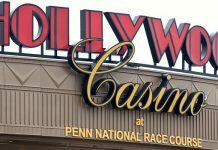 On the weekends, even more games are running; the poker run also hosts tournaments that guarantee up to $10,000 in prize money. Kebort stated that his goal is to take poker out of homes, country clubs and the underground (people often hold poker games in the back rooms of warehouses and offices) so that people can play poker at his club. Houston has a long history of underground poker games, which are illegal. 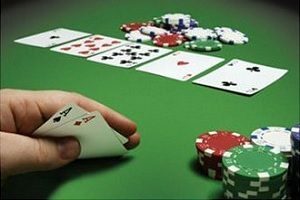 The sites where poker games are conducted are usually hidden away from the big blue lettering and tax walls that characterize the Post Oak Poker Club. Underground poker games are prone to police raids and robberies. Since these games pose considerable risk, a significant cut –often as high as 30% — is taken from each hand, which makes the underground poker games illegal under Texas law. An underground poker game in Fort Bend County turned deadly in July 2014. Masked shooters stormed into the back door of a business where they fatally shot Donald Leonetti. He was a respected businessperson in the community. Stafford police confirmed that the gunmen got away with $20,000. 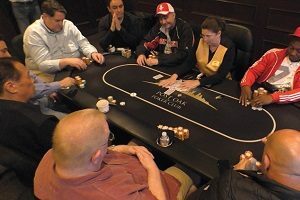 During an interview in the Post Oak VIP lounge, Kebort stated that he wants to do away with underground poker and provide regulated, legal games for his establishment without putting players in danger. Kebort maintains that his business is legitimate, and states that this is the reason he is invested so much in the private-membership concept of the club. According to Kebort, he came up with the concept for his business in 2012 while living in Austin. At the time, Kebort was working with Sam Von Kennel. Von Kennel is a poker enthusiast who previously worked for the Texas House of Representative and was a member of the Licensing and Administrative Procedures Committee. In an interview with KHOU’s sister station KVUE-TV, Von Kennel said that he had watched people try to draft destination casino bills over the years. However, he realized that casino gaming like blackjack and slot machines was years away from ever coming to Texas. In 2015, Von Kennel told KVUE “I decided to take a look at what we could do.” However, Von Kennel did not return requests to comment on this story. The concept of poker clubs is that the facilities do not make money by “taking a rake” (taking money from each pot that goes to the club). The clubs are not open to the public, and all the players have the same chances of winning and losing, that makes the games legal. Post Oak is not the only poker club in Texas operating under the private membership model. There are at least 40 other clubs from Houston to Austin to San Antonio. There were even facilities in North Texas at one time. Von Kennel opened Texas Card House, the first poker room in Texas, in Austin in 2015. Kebort is confident that his club and many other poker rooms in Teas are operating legally. However, critics are eager to point out that these game rooms are practically unlawful. At least five poker rooms in North Texas have closed, either voluntarily or due to pressure from law enforcement.